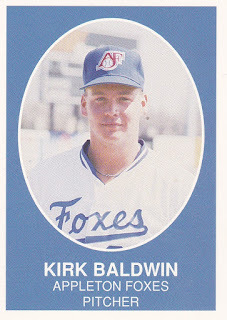 Kirk Baldwin was solid in his first professional outing in 1989, picking up the win - Eugene's first on the season. Baldwin went five full innings, giving up four hits and one earned run, according to The Eugene Register-Guard. The rest of the season, though, wasn't as good. He ended the season with a 6.70 ERA. He also played in just one more professional season. That first win ended up being his only win. Baldwin's career began that season, taken by the Royals in the 20th round of the draft out of the University of Central Missouri. Baldwin started with short-season Eugene. Overall, he went 1-4, with that 6.70 ERA in 11 outings, 10 starts. He remained a starter until early August, when his struggles led the team to try someone else, The Register-Guard wrote. Those struggles included an early-July outing where he didn't make it out of the fourth inning, giving up four earned. His fourth loss came in late-July. He went just 2.2 innings, giving up seven, four of those earned. 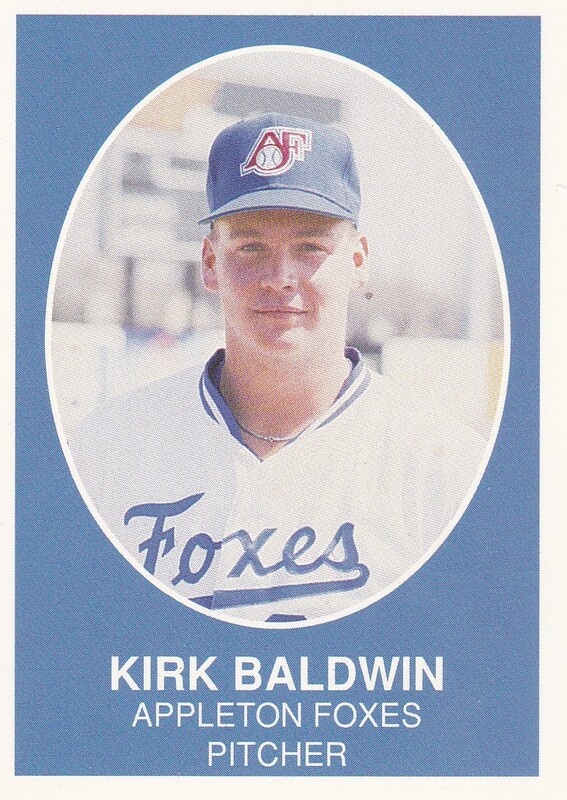 Baldwin moved to single-A Appleton for 1990, but it was a short stay. He got into just nine games, all in relief. He ended with a 3.07 ERA in 14.2 innings of work. It was his final season as a pro.